- Check-in Time: 2:00 P.M. - 11:00 A.M.
5. Key Deposit: On top of the total amount, 200 Baht will be collected as a refundable key deposit. You will receive it back once you return the Key as you are checking-out. 6. Age Restriction: The minimum age to check in is 15 years old. 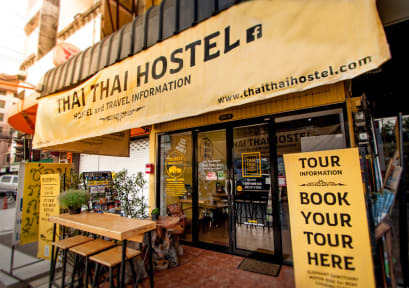 It was a amazing experience in Thai Thai Hostel! The staffs are so kind and very nice to tell me everything about Chiang mai. 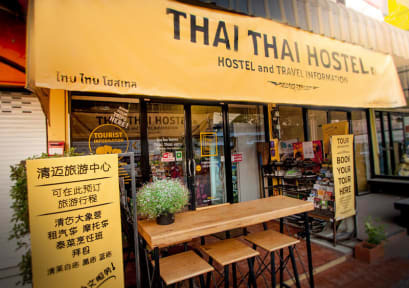 super good, Pom is very nice and willing to help, close to the center but it is hard to explain the location to taxi drivers.